Why choose TBI Unlimited, LLC to create your exterior hardscape? Many home owners ask themselves this question each year. The answer is that TBI Unlimited has the knowledge, skill and professional attitude that you desire. 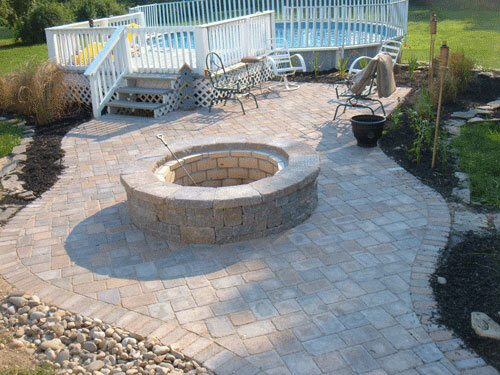 TBI has been successfully designing and installing Hardscapes in the South Jersey region for the past fifteen years. What sets TBI apart from other local installers? A support system like no other! Not only does TBI Unlimited use EP Henry products, we also use CST and Techo-Bloc materials. By offering a variety of products, we provide our customers with many sizes, shapes and colors to choose from when picking their materials. Unlike some contractors who make cookie-cutter designs, we feel that variety is the spice of life. Are you now ready to create your very own back yard retreat? Take the next step; insist on TBI Unlimited, LLC to design and install the Exterior Hardscape of your dreams! To see images of hardscapes such as columns, driveways/aprons, garden walls, patios, retaining walls, steps or walks, click the corresponding link.